Despite massive literary success, Sidney Bell feels perpetually unsatisfied and suffers unexplained physical ailments. Desperate to straighten out his twisted life, anxiety-ridden Sid seeks help from experimental psychiatrist Dr. Willie Last, whose therapeutic methods involve hallucinatory drugs such as LSD and trading places with his patients. After a tumultuous first trip, Sid ends up at Conolly House, a radical hospital for young schizophrenics where he serves as a “barefoot doctor.” From there, Sigal launches readers on a sardonic, rambling journey through a fantastic breed of insanity. With his freewheeling, ecstatic prose, Sigal spins a manic psychological quest into a telling portrait of a society in the grips of a turbulent decade. 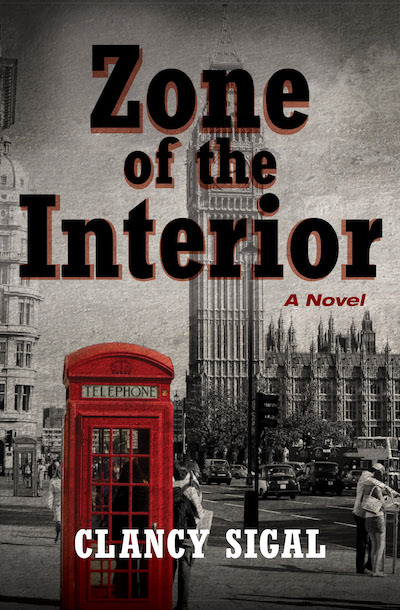 Zone of the Interior is a subversive and uproarious search for clarity and comfort in an increasingly mad world, grounded by an unforgettable narrator.